Wishing for freedom is like wishing on a star: until we learn what it means to personally reach out and help produce that brighter world we envision for ourselves and others, we remain little more than armchair architects -- those who believe that merely dreaming of a world without fear and hatred is the same as building one. In our quest to win freedom from the ties that bind, we spend most of our lives struggling to overcome vague foes that fade in and out, like the shadows that move across the forest floor each time the sun moves behind a cloud. Yet, for all of these battles engaged and won, for all the changes we've made in our lifestyles and relationships, one thing remains basically the same. We still feel tied down! There's a stone in our soul we can't shake loose. And that's why, even though everything else about how to liberate ourselves may remain vague, the following realization cuts through this psychic fog like the bright beam of a lighthouse on a stormy night: any real change in the world of our outer life is going to have to originate from a change in our inner life. Still more to the point: blaming any exterior condition in our lives as the culprit behind our feeling tied down or captive is like getting angry at our shoes for being laced too tight! If we're ever to satisfy our longing to live the way we want, if we're ever to be fully independent and free, we must let the facts speak for themselves: regardless of the way things may appear on the surface, the ties that bind us have their roots hidden in our minds. We are lashed down with our own thoughts. They wrap themselves around our hearts and make our spirit suffer. And that's why our battle for freedom must be waged within, for that's where the ground is that must be recaptured. Even the gripping fear of failing finances, or painful worry over the aging of the body, has its beginnings in the invisible interior of a person -- in that individual's thoughts and feelings -- and more specifically still, in the level of understanding from which those thoughts and feelings arise. All freedoms, as well as the heavy spirit we bear in their absence, are a question of consciousness. This is why freedom from the ties that bind must begin with a change in our being. 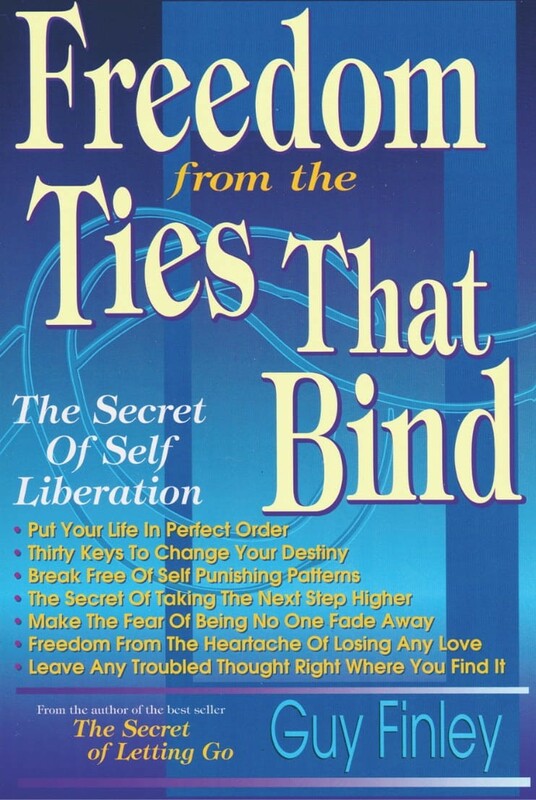 Excerpted From: Freedom From the Ties That Bind, pages 1-2.